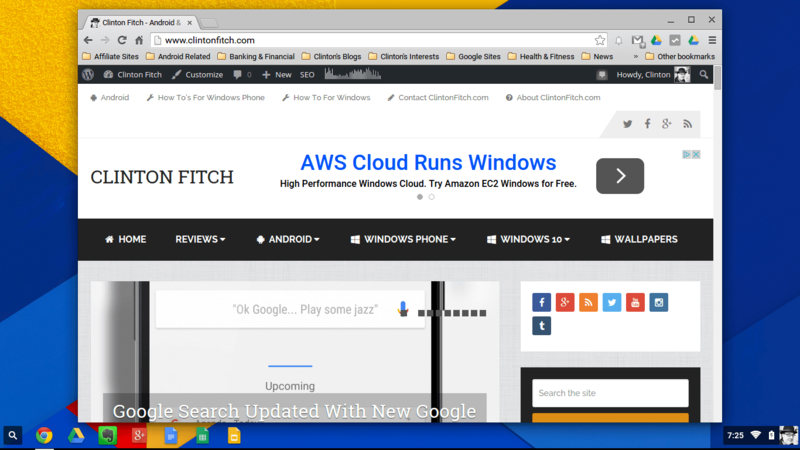 The Chrome team at Google has released an update to Chrome OS, the platform for Chromebooks. The latest update, build 45.0.2454.85 for those keeping score at home, contains a long list of fixes and improvements including 29 different security fixes. While a full blog post by the Chromium team is expected later today, the initial post on the Chrome OS Release blog has the highlights. If you have a Chromebook, you should receive the update to build 45 of Chrome OS automatically. You can of course manually check by going to Settings>About Chrome OS and tap the Check for Updates button. As for the fixes you will find in this release of Chrome OS, there are quite a few. This update includes 29 security fixes. Below, we highlight fixes that were contributed by external researchers. Please see the Chromium security page for more information. [$7500] High CVE-2015-1291: Cross-origin bypass in DOM. Credit to anonymous. [$7500] High CVE-2015-1292: Cross-origin bypass in ServiceWorker. Credit to Mariusz Mlynski. [$7500] High CVE-2015-1293: Cross-origin bypass in DOM. Credit to Mariusz Mlynski. [$5000] High CVE-2015-1294: Use-after-free in Skia. Credit to cloudfuzzer. [$3000] High CVE-2015-1295: Use-after-free in Printing. Credit to anonymous. [$1000] High CVE-2015-1296: Character spoofing in omnibox. Credit to zcorpan. [$3000] Medium CVE-2015-1297: Permission scoping error in WebRequest. Credit to Alexander Kashev. [$3000] Medium CVE-2015-1298: URL validation error in extensions. Credit to Rob Wu. [$2000] Medium CVE-2015-1299: Use-after-free in Blink. Credit to taro.suzuki.dev. [$1000] Medium CVE-2015-1300: Information leak in Blink. Credit to cgvwzq. CVE-2015-1301: Various fixes from internal audits, fuzzing and other initiatives. Multiple vulnerabilities in V8 fixed at the tip of the 4.5 branch (currently 4.5.103.29).